The CFHS men’s cross country team went to State for an unprecedented 22nd time in a row, which ties an all time state qualifying mark. The meet took place in Fort Dodge on Saturday morning, Nov. 1.The 4A boys race took place right after the 4A girls race, which was won by McKenzie Yanek. 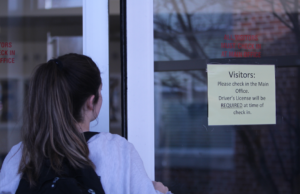 Yanek used to attend Peet Junior High School, but now she attends Pleasant Valley High School. Dowling Catholic was the team that won the women’s race. 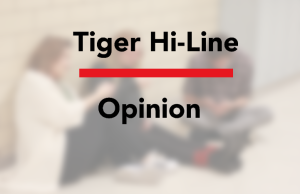 The Tiger men’s team went into the state race ranked fourth, and they were looking to improve on that ranking and maybe even claim a spot on the podium. Unfortunately, the Tigers finished sixth overall with 145 points. 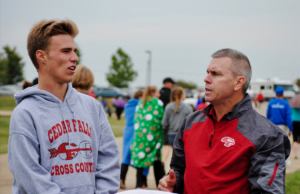 Associate Principal and Assistant Athletics Coordinator Troy Becker is the CFHS men’s cross country coach, and he was pleased with the way the team performed. The race was won by Cedar Rapids Prairie with a total of 85 points. Individually, the race was won by Linn Mar senior Josh Evans, with a time of 15:19.4. The Tigers, on the other hand, were led by senior Timothy Sevcik who placed 14th overall. Sevcik had a time of 15:52.5. He was followed almost immediately by junior Dylan Southall, who finished a mere 10th of a second after Sevcik. The two, along with senior Jonathon Smith earned 2nd team All-State honors, an award bestowed to the runners finishing in 11th-20th place. Senior Jared Failor and sophomore Jake Hartman finished 49th and 50th respectively, after finishing the race 1.2 seconds apart. Hartman said he is pleased with his race and the season as a whole. The Tigers were rounded out by senior Spencer Van Dorn and sophomore Isaac Smith who finished 83rd and 89th respectively. Van Dorn finished with a time of 17:01.6, and Smith had a time of 17:15.4. There were a total 115 runners in the race. The state meet ends an impressive season by the Tigers, who won two out of nine meets during the course of the season. “It was a fantastic season. Almost all of our runners improved a lot throughout the season and competed really hard,” Becker said. The Tigers are looking to do great things next fall as well, with three varsity runners returning. There are also a number of promising freshmen and sophomores that are returning next season. “Next year we are going to be a very strong team. The biggest key for us will be offseason training, which we need from everyone on the team,” Hartman said. Becker said he feels the same way about next season. “We have a lot of really strong runners returning, and I’m sure we’ll have a goal of being one of the top three teams at the state meet,” Becker said.